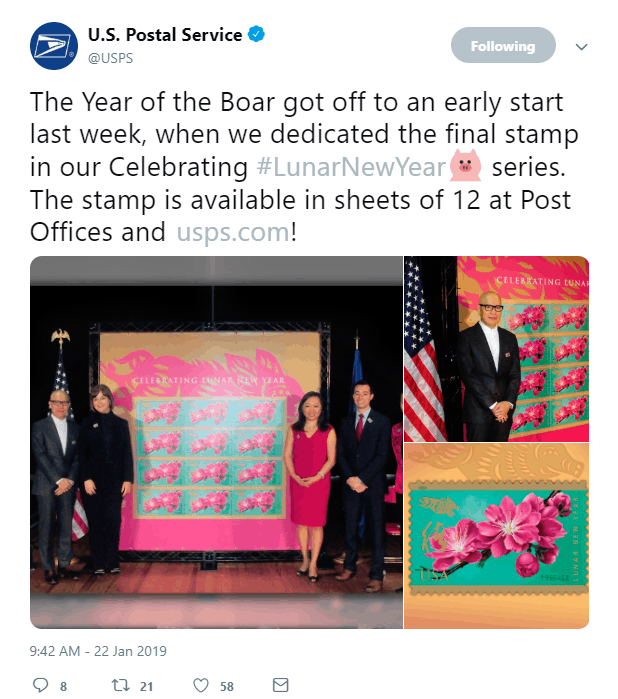 “Celebrating Lunar New Year” is on the labeling for the Year of the Boar Forever stamp. Today, February 5, begins the Lunar New Year 2019. The USPS began issuing the stamp on January 17th. 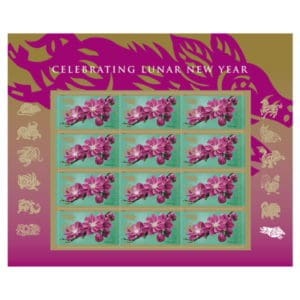 The Year of the Boar Forever stamp is the last one in the Celebrating Lunar New Year series taking twelve years! Next, I’m including this Twitter image from USPS sharing about the recent dedication. If the stamp is not available in your local post office yet, and/or prefer ordering online, over at the USPS website – this is the link for ordering the Year of the Boar Forever stamp. Note they are in self-adhesive sheets of 12 stamps. Lastly, these are my previous AnchoredScraps blog posts for each year I’ve written. Just as in previous years, I’ll be ordering a sheet of them and using them! All of my envelopes have their stamps on them already for InCoWriMo 2019; however, I’ll begin using them next month! P.S. Day 5 of InCoWriMo 2019!